Marketers have access to more information about customers and prospects than ever before, and more ways to reach them too. This should help them to deliver messages and offers that are relevant and timely. However, most customers say they are being bombarded with marketing messages that are neither relevant nor useful. 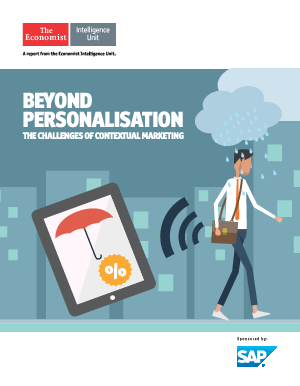 This report examines the strategic, organizational and creative challenges associated with the practice of contextual marketing. It is based on a series of interviews with experts and practitioners.